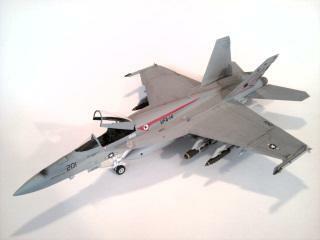 This is a 1/48 Revell F/A-18E kit that I completed in November of 2012. 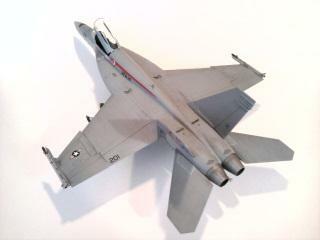 I finished it with Humbrol enamels and CAM decals. 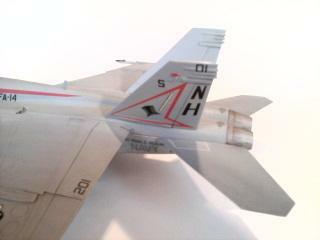 The model depicts the CO’s plane when detached to USS Ronald Reagan during her maiden journey from Norfolk to the west coast in 2003. 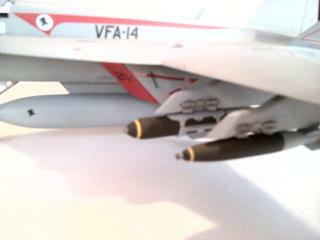 I made the FOD covers from lead wine bottle foil. It looks really good from what I can see John. Is there any way you could please post some bigger pics?